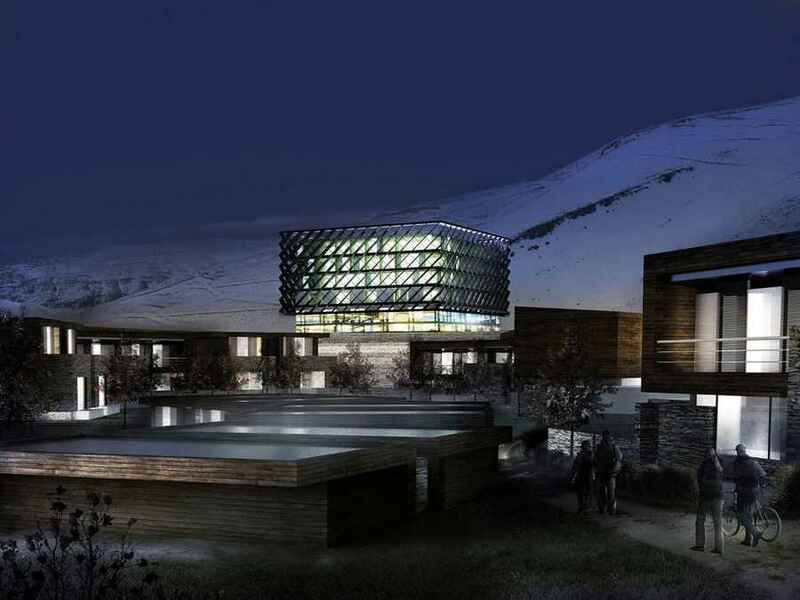 The design proposal intends to combine a year-around destination for mountain lovers in Lebanon with the requirements for a sustainable development in Zaarour. In this regard we believe that it is most important to balance the development of real estate with attractions and activities in a healthy environment. The concept considers different functions and facilities in order to attract diverse users groups of all ages during the year. – Winter: Skiing and snowboarding, Ski-Play Area; tubing; half pipe, ice skating etc. – Summer: Hiking, swimming, climbing, mountain biking, etc. Given newly developed state-of-the-art facilities, daily visitors can peak at 2500 on winter weekends. This requires parking facilities for about 900 cars. 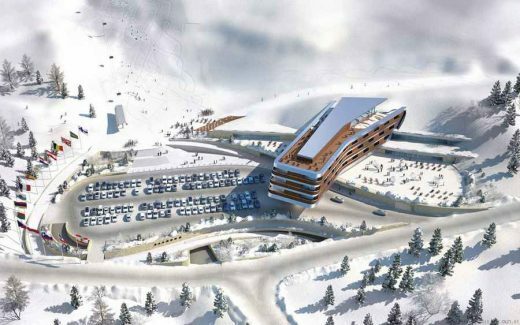 We moved the road adjacent to the ski slopes further north in order to connect the hotel and parking structure seamlessly with the ski slopes, providing comfortable accessibility. The village on the C2 lot is directly accessible from the parking structure and the Hotel. In the pedestrian area the visitors can enjoy gastronomic and shopping facilities year-around with après ski in winter and the possibility to escape the costal heat in summer. In addition, a seasonal market could open on the piazza where local agricultural and artisanal goods are offered on distinctive days during the week. 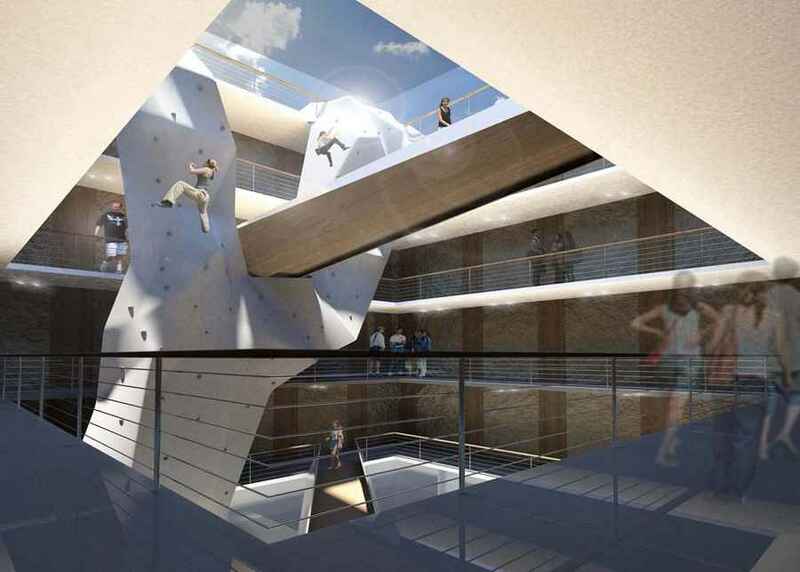 The Cube Hotel’s concept is a combination of sport, entertainment, design and community, making it a popular destination for all young-at-heart active vacationers. The Cube stands for open-minded community and 24-hour entertainment. A diverse sports program, offering the latest trends in addition to more classic disciplines, summer and winter, rounds off the innovative vacation concept. Cube places emphasis on community and events – life takes place outside the rooms. The Cube is situated adjacent to the ski base station on C3 and can be easily accessed through a tunnel from its outdoor activity platform. On C1 and C2 the chalets are terraced, providing downhill views towards the Mediterranean. On C3 the chalets are grouped around gardens and ponds. 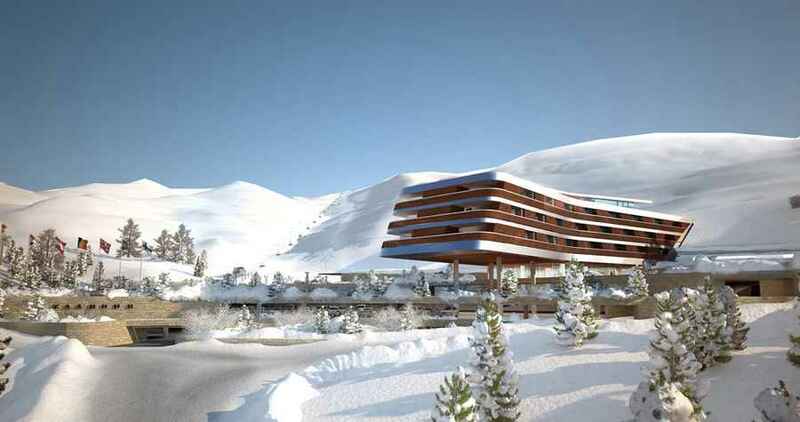 The Zaarour Club Project is located within a travel distance of less than one hour from Beirut at normal traffic conditions. Its strategic location at mid distance between the Bekaa Valley and the coastline, including major agglomerations such as Beirut, Jounieh, Byblos and recently constructed road infrastructure makes it an inviting location for visitors that reside within a significantly large area (as shown the isochrones maps). Traffic within the Zaarour Club is tackled by identifying appropriate solutions for a uniform distribution of traffic volumes on the planned roadway network. Moreover, this was achieved through a well-dimensioned access system to the main drop off level that serves both the Hotel and the Ski piste with an expected visitor capacity of up to 2,500 visitors. The complex Project program and its mixed-use nature invited our traffic engineers to estimate accurately the expected population and the generated trips during peak hours in peak seasons. In order to avoid any excessive costs and invasive structures for responding to the most critical periods, roadway solutions are tackled through simple revision of road geometries without any intervention, such a flyover, an underpass or any similar heavy structure, however simple solutions were deviced such as a parking multi-access point system for reaching the parking floors, benefiting and respecting the nature of the terrain. Parking areas are divided into two major categories: reserved parking places and shared (public) parking places. The main objective of this strategy is to optimize the use of parking places without compromising the commodity and the “right” to have a guaranteed parking places for owners, VIP and top management personnel. The shared parking was designed and dimensioned after taking into due consideration the synergy that exists between some functions, e.g. the synergy between night activities such as cinemas, restaurants and indoor entertainment venues and the day activities such as skiing and other sports. Similarly, parking demand for occasional events such as weddings and major festivities are satisfied through complex management systems, such as the use of real-time variable messaging systems for orienting users to their right parking destination and through a complex internal boom barrier system to divide differently the parking areas according to demand estimates and overlaps. In extraordinary conditions where special festivities and events overlap totally with other major activities road sections were designed to accommodate for occasional on-street parking places that will be used only in special hours where peak load exceeds the parking structure’s capacity. These aspects will be further developed with the Client and the Project operators, however it was of paramount importance to take them into consideration at this very early design concept phase. Brothers Karim and Rames Najjar set up their practice in Vienna in 1999, and since then have executed range of designs from naval architecture to commercial buildings, to villas and their beloved ‘research’ projects. It is easy to see them as brothers constantly playing wit structures and forms, and their built work exudes an energetic enthusiasm for stretching angles and refining elements. There is something, too, of the fascination with natural forms. They might as easily tae on the shape and movement of a jellyfish as an insectoidal form, and then add elegant rhythmic fenestration, a series of supports that from a distance resembles an exoskeleton, all hard shell underpinned with a more delicate arrangement. Karim and Rames also have a penchant for sharp, obtuse angles that convey a real sense of dynamism. It is no surprise then to see their sleek design of narrow, pointed profiles for yachts that seem much more about speed, a smooth arrow darting through the water, as about luxurious interiors. That fascination in movement is indulged in their research to which they dedicate a significant portion of their time and energy, and their experimentation with that they place under the rubric ‘kinematic structures‘.